Continuous relative humidity levels of over 70%. 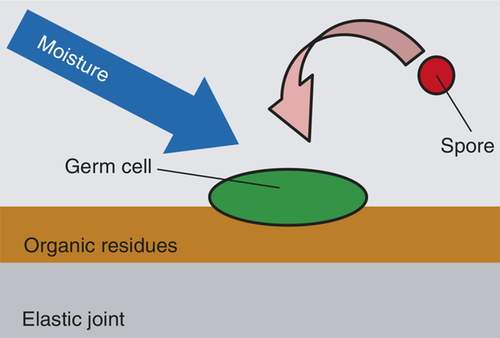 Sustention for moulds, e. g. organic deposits in the form of body care products, soap residue and scurf. 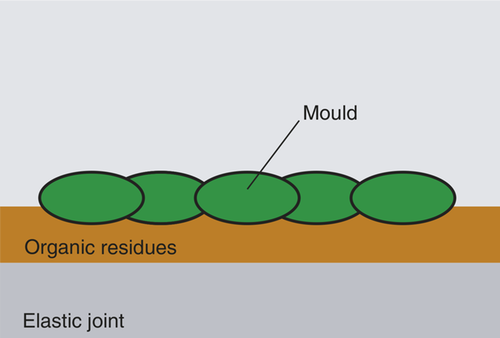 In the case of primary attack the mould initially grows only in the organic deposits on the surface of the sealant and can be combated with Anti-Schimmelspray (Anti-mould spray). In the case of secondary attack the mould grows into the sealant. OTTO SilOut (OTTO SilOut silicone remover). 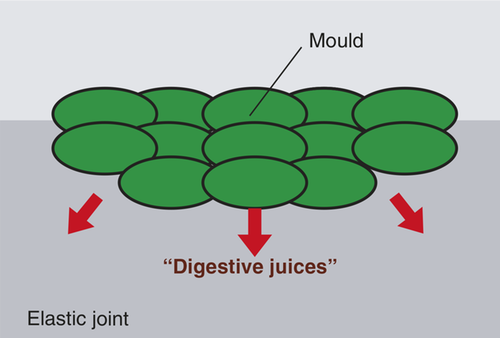 Before reapplying the sealant, the affected joint area should be thoroughly cleaned and treated with anti-mould spray in order to kill existing fungal spores.